Ask The Macro Manager: How Do I Eat To Maximize Athletic Performance? Are you in the game rather than watching it? Then nachos and wings don't cut it. Learn how to fuel up, and you'll last longer and play stronger. 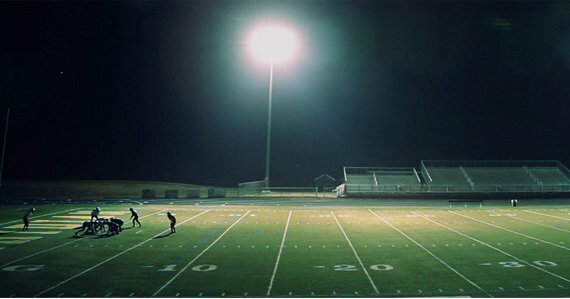 I&apos;ve got a big football game coming up, and I want to play my best. What should I eat before, during, and after the game to maximize performance and recovery? The good news is that nutrition can do a lot to help you on game day. I like to look at maximizing performance in three different phases: before the game, during the game, and after the game. These phases play an important role in your performance during the big game and into the entire season. Let&apos;s look at each phase individually. "The good news is that nutrition can do a lot to help you on game day." This includes the several days leading up to your big game. The goal here is to make sure that your body is well-rested, fueled up, and ready to attack when game day comes along. Often, athletes will carb-load leading up to a big game, but it isn&apos;t necessary and can cause unwanted side effects. Research shows that while following a carb-loading protocol (1-2 days of carb depletion, followed by 3-4 days of carb-loading) increases your muscle glycogen stores beyond normal levels. This increase in stored muscular energy doesn&apos;t consistently lead to an increase in performance. The potential downside of carb-loading is that veering from your normal dietary protocols can leave you bloated and feeling sluggish come game day. Carb-loading is also unnecessary because sports drinks are readily available on the sidelines at just about every sporting event at every level. This allows you to continuously refuel and replenish during your game, so the chances that you will deplete your glycogen stores are slim. Leading up to a competition, you should also consider supplementing with creatine and beta-alanine. Take them for a month leading up to competition in order to saturate your body&apos;s stores and maximize their effectiveness. The final piece of the pre-game puzzle is sleep. Sleep plays an important role for physical restoration, motor skill development, and mental acuity. In order for you to perform at your best, your muscles need to be fully rested and recovered. You also need to be mentally sharp and physically dialed in. Sleep is the only thing that can help you with all three aspects of performance at once. If you are serious about performing at your best, then you need to be serious about getting at least eight hours of sleep each night. This next phase encompasses the day of your game through the end of the game. This is the area where most people need the biggest improvements. Fueling your game day for optimal performance comes down to finding the right balance of fuel for you. I find that many athletes don&apos;t know what to eat, so they opt for less?or don&apos;t eat anything! This is a mistake. But just as eating too little is a mistake, you don&apos;t want to eat so much that you are weighed down with a large digestive burden. Toss the pigskin, not some pig. Keep your meals balanced and moderate. By "balanced," I mean relatively equal portions of protein and carbohydrates, with fats sprinkled on your meal From a macronutrient standpoint, you want meals that have a carbs:pro:fat profile ranging from 40/30/30 to 33/33/33. The size of your meals should be 500-650 calories, depending on your body size. This is enough to keep you fueled without being weighed down. Your meals should be rich with starchy or grain-based carbs, lean protein, and vegetables or fruits. 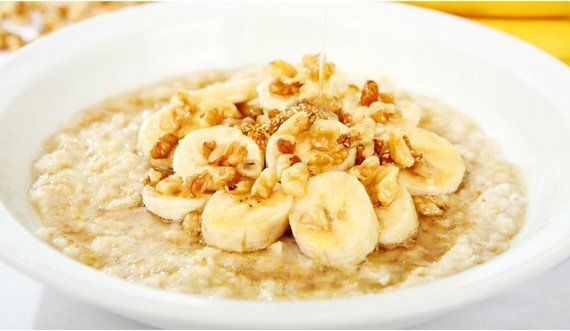 Combine water and oats in a bowl and microwave for 1-2 minutes. You should finish your last meal no later than two hours before game time. This will ensure that everything is digested and not sloshing around in your stomach while you&apos;re crushing your opponents. Caffeine is a well-documented and safe performance-enhancing supplement. If stimulants are appropriate for your age and competition, you can supplement with 200-300 mg of caffeine 45-60 minutes before the game. Then, 30 minutes prior to game time, mix 8-10 g of BCAAs with 4-6 g of citrulline malate in a diluted sports drink. This pregame cocktail will increase blood flow to your muscles, fuel them, and also help accelerate the clearance of metabolic waste, all of which helps fight fatigue. As you come in and out of the game, stay hydrated with a diluted sports drink. This allows you to continually replenish lost fluid and electrolytes, while also giving your working muscles sugar to augment their internal fuel supply. "Begin the refueling process with a protein and carb recovery drink, with 5g of creatine." While the game might be over, your quest to be the best is still ongoing. Directly following the end of your game is the best time to start rebuilding and repairing your body so you can be even better during the next game. If you were continually refueling and rehydrating with a sports drink during your game, then your muscle glycogen stores shouldn&apos;t be too low. Regardless, they will be somewhat depleted, and directly following exercise your priority should be refilling them. The next priority is stopping muscle breakdown and beginning the muscle rebuilding process. A protein and carbohydrate recovery drink with 5 g of creatine is the most efficient way to begin the refueling process. 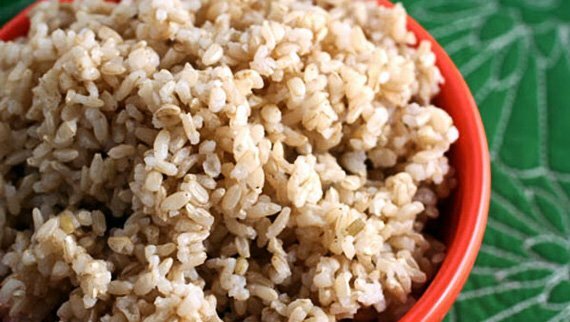 It should contain 50-60 g of fast-acting carbohydrates and 20-25 g of protein. This type of drink is recovery rocket fuel. About 60-90 minutes after your recovery drink, you&apos;ll want to eat a meal that contains ample carbohydrates and protein to keep the recovery process going. Place chicken on a baking sheet, sprinkle with salt, pepper, and dried rosemary. Once chicken is cooked, coat non-stick pan with cooking spray and place over medium heat. 5. After pan is heated (around 1 minute) add egg mixture and scrambled until eggs are cooked through. Remove egg from pan and place in a small bowl. Heat oil in the pan over medium heat. Add asparagus, peppers, garlic, and green onions. Cook until vegetables are tender (2-3 minutes). Slice chicken and add to pan with rice and soy sauce. Mix and cook until the rice is warm. Stir in egg. Add hot sauce to taste. His athletic build highlights the Sultan of the Step-over&apos;s skill. Elevate your game and upgrade your physique with this Ronaldo-inspired training regimen! What&apos;s better than an elite bodybuilder explaining his chest routine? How about two IFBB pros training together and discussing their pec-growth secrets!